I thought this might be interesting to anyone here that works on automobile engines. 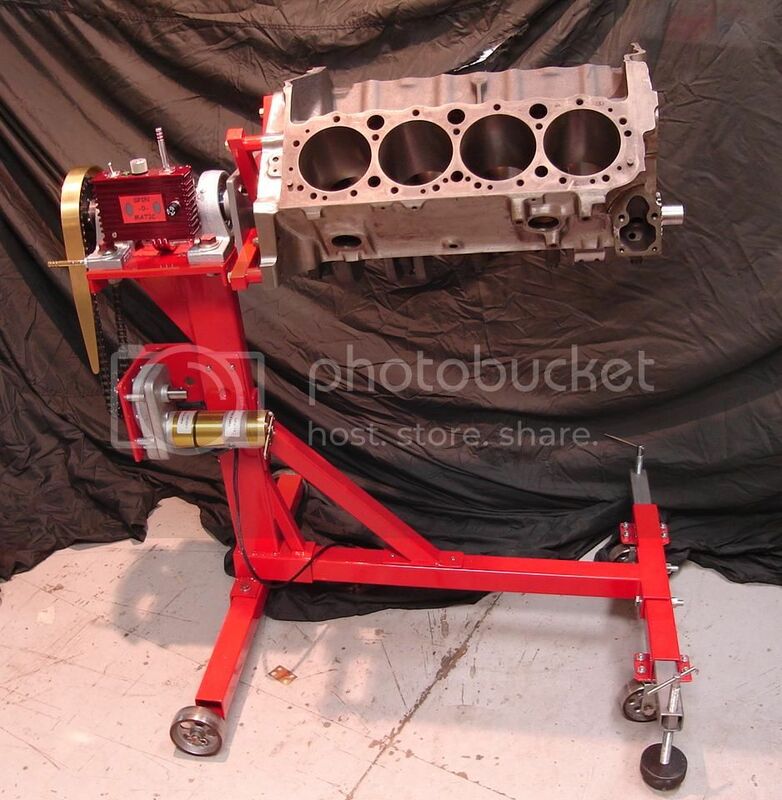 For years I struggled with my store bought engine stand. Just turning the bare block was a chore as there was such a large difference between the I.D. and the O.D. of the shafts that the engine rotates on. And then there is the problem of getting the locking pin into the hole while hanging on to the turning handle. So, I came up with this. A little bit of overkill, perhaps, but as I was treading in unknown territory I went with "bigger is better". The shaft started as a piece of 2" steel that I turned down to1- 7/8"and mounted on pillow blocks and self centering bearings. I cut the original outer tube down the middle and welded on a piece of 1/2" plate. 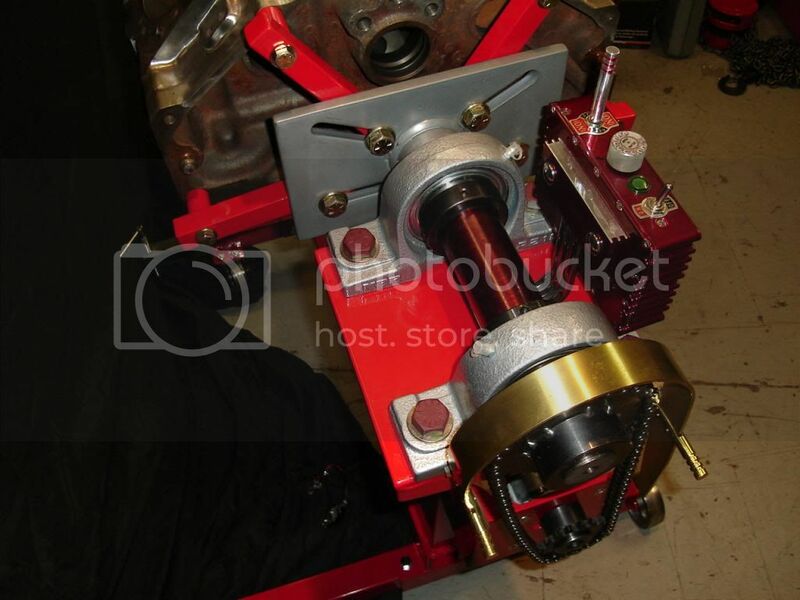 The engine mounting plate was welded to the shaft and the pillow blocks were bolted to the plate. On the controller I have an on-off switch, a dpdt switch to control direction and a 12 Volt PWM to control the speed. 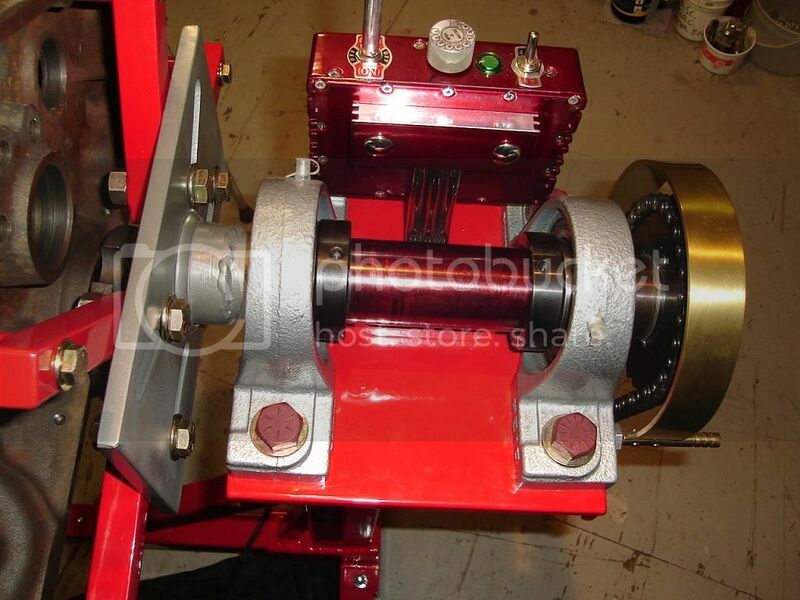 The motor is a 10 RPM gear reduction. It is a surplus item originally used on travel trailers to move the "slides' in and out. It has plenty of torque. More than I needed, but the price was right. It also has a built in electromagnetic brake so it holds its position when you turn the power off. No need for a locking pin. It was purchased from Burden Sales for $60.00. 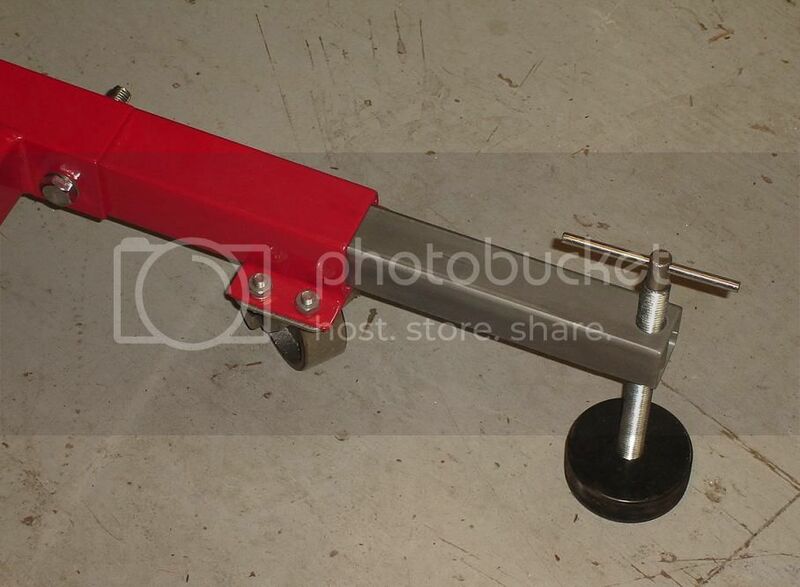 I also added some "outriggers" to the stand to give it some stability when torquing on fasteners. Some threaded rod with nuts welded inside the square tube and hockey pucks on the bottom. Not including the price of the original stand or the powdercoating it cost about $250.00 in materials. 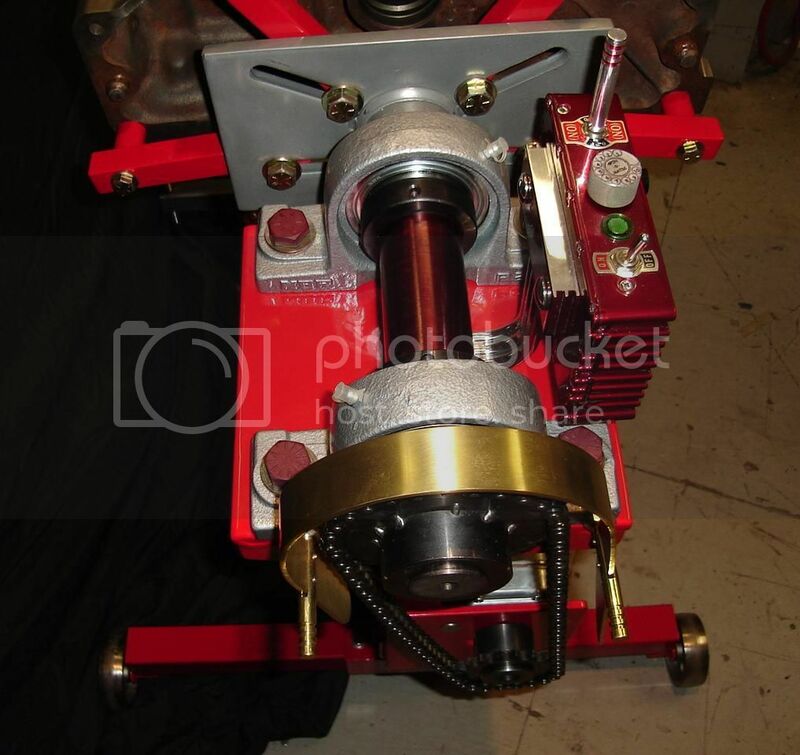 Just thought I would post some pics and specs of the motor. At 70 Ft. LBS. it might just be the answer to someones overkill project. 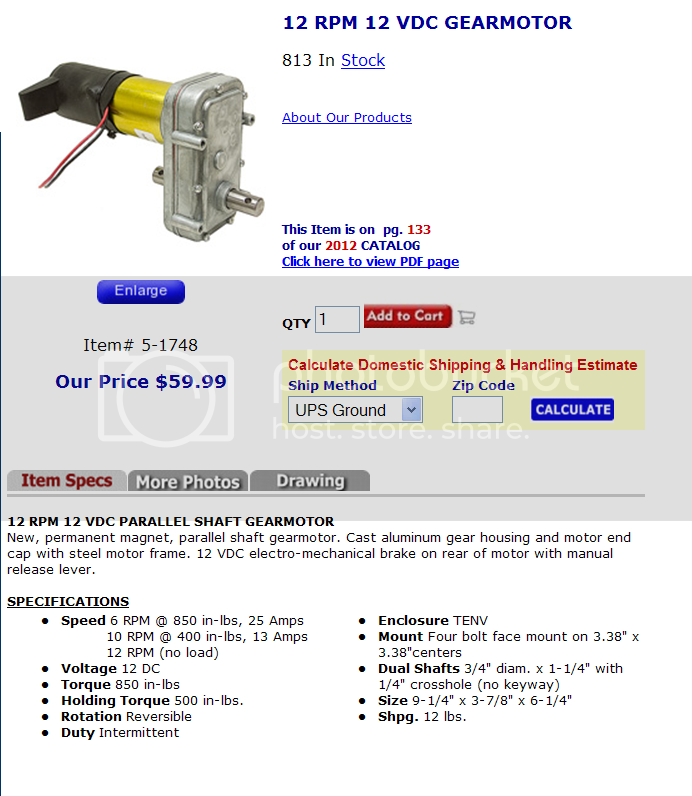 BTW, I did an interweb search and found similar motors selling for up to $500. That thing rocks. I can think of a few times when I would have wanted one! Awesome job. Now all you have to do is include a drive to the wheels and your days of dragging it around are over. 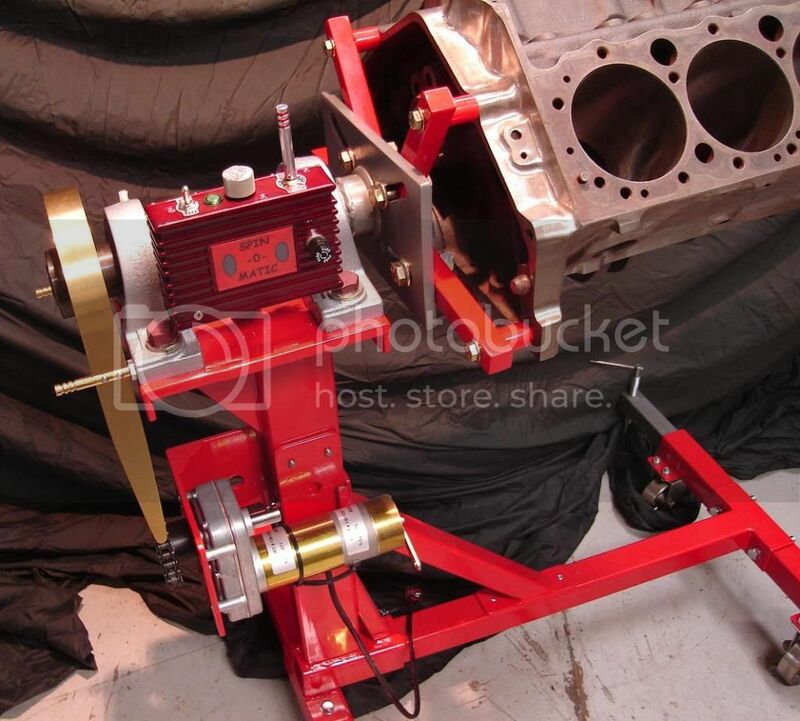 hello snub, is there anyway to get more detail info on the motorized engine stand you made?? All you need now is a remote control.... maybe an App on your smartphone? 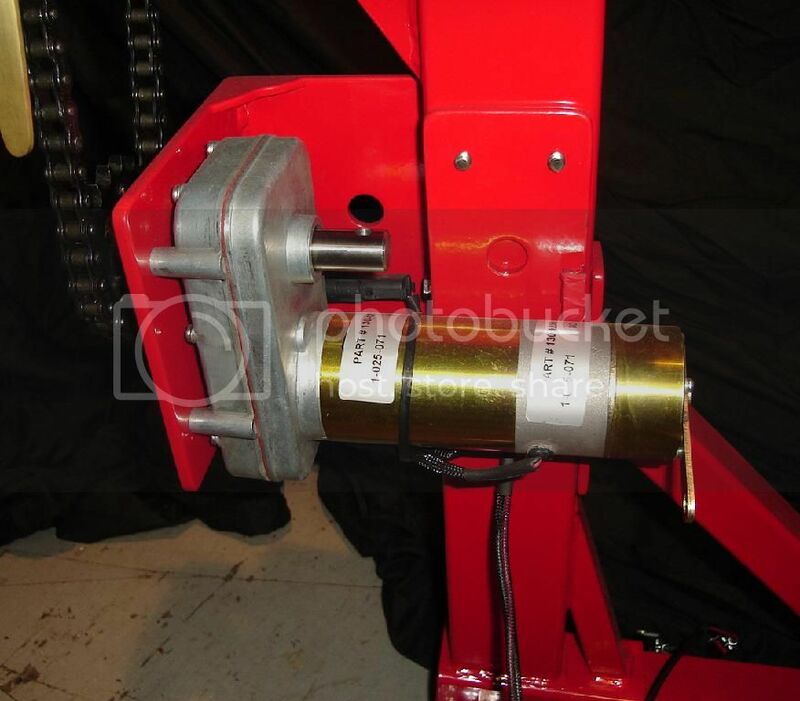 Or, if the engine's like one of mine (~250kg), yeah, you use a separate engine hoist to position it. Sorry, Roger, not really. There weren't any plans. I just "winged it".